Your home's plumbing system is a key part its comfort and convenience, so one of the biggest priorities that you have as a homeowner is keeping your plumbing in great shape. At Franklin Plumbing & Drain Cleaning, our plumbers understand what an important role in your home your plumbing system plays in your home and your life, so we provide a wide range of services to keep that system in great shape. Whether you need regular maintenance or in-depth repairs, you can always depend on our expert Dentsville plumbers for excellent service. Our professionals are all trained and experienced, so no matter what kinds of services you need, if you are looking for a plumber in Dentsville, SC you can always depend on us for high quality workmanship. We'll guarantee your complete satisfaction with the work that we provide, and we're available for emergency plumbing services 24/7. Call us today to set up your appointment for service, or to ask any questions you have about the services we provide, and we'll be looking forward to working with you. Water heaters are almost aways under tons of stress, and they're used multiple times every single day, so they can develop significant problems at almost any time. 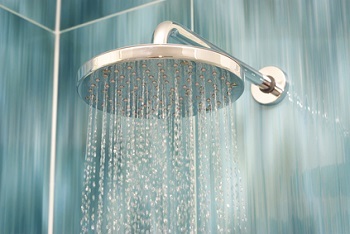 Keeping your water heater functioning well requires prompt repairs and regular maintenance. Our Dentsville plumbers can provide you with thorough and accurate repairs any time you encounter a problem with your home's plumbing system. We can also offer maintenance services to help prevent those problem, keep your water running efficiently, and increase the water heater's life span. Your home's drains are the most important part of its plumbing system. They're what connect every part of the system together, so when there are any clogs, build-ups, or obstructions in your drains, they'll cause problems throughout your home. Our Dentsville drain cleaning services will thoroughly eliminate any kind of blockage in your drains to keep your plumbing system working well at all times. "Very good. He cleaned where he had worked, which I appreciated"
"Quite helpful over & above service call"
If you are looking for a professional plumber in Dentsville, SC then please call 803-799-2222 or complete our online request form.